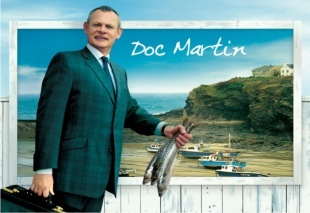 Cemco have recently landed the job of supplying catering equipment for this years Doc Martin filming at Port Isaac, Cornwall. Cemco were approached by the filming production by SMS to supply 1x used oven range for set props. The props will be used in the on-screen restaurant ‘Bert Larges’ Restaurant. Cemco manager ‘David Butler’ says “he hasn’t met the lead character Martin Clunes (screen character ‘Doc Martin’) yet, but when delivering the oven ranges to the set, he might be in luck”!